Her First Mistake | Knit Like You Mean It. I blame it on the move. I do! It’s got to have been the move. Just a few miles north, but still. The pressure! Moving! Boxes! Ikea! Or maybe I’m just a little dopey. I forgot to cast on in the border color for the Right As Rainbow baby cardi. 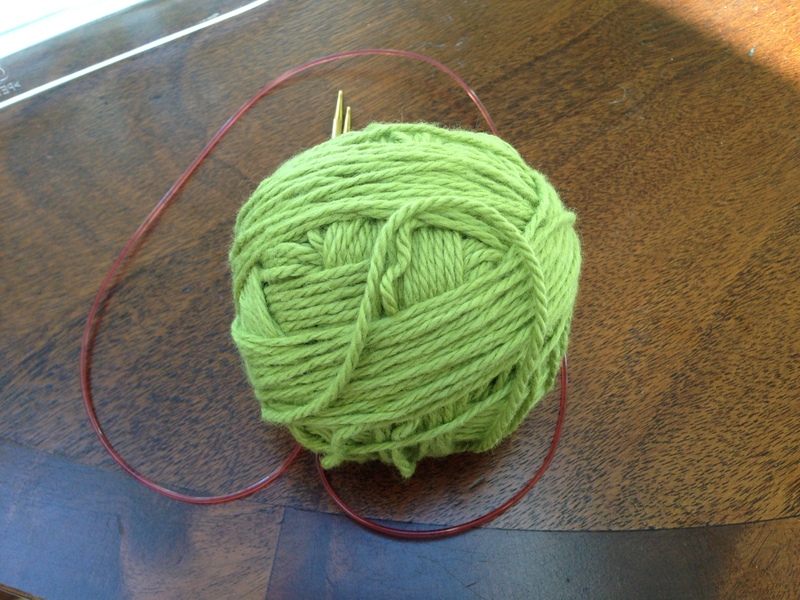 I was probably also a little hasty in starting, because I am excited about the knitalong. You know how it is. Anyway, you guys will notice in this photo from Wednesday’s post that the contrasting yarn that should be at the edge of this sleeve is not there. Those of you doing the knitalong were kind enough not to mention it to me, but I eventually noticed the difference between my sleeve and, say, Catherine‘s. As I ripped out the entire sleeve, I cheered myself by humming Lyle Lovett‘s Her First Mistake. Hey, you have your thing and I have mine. Did I tell you guys about how Mr. Trask and I went to see him at South Shore Music Circus this summer? I didn’t? You haven’t lived, people. You haven’t lived until you have seen Lyle and his band in concert on a rotating stage. But I digress. Looking nice, right? The purple is still difficult to photograph. 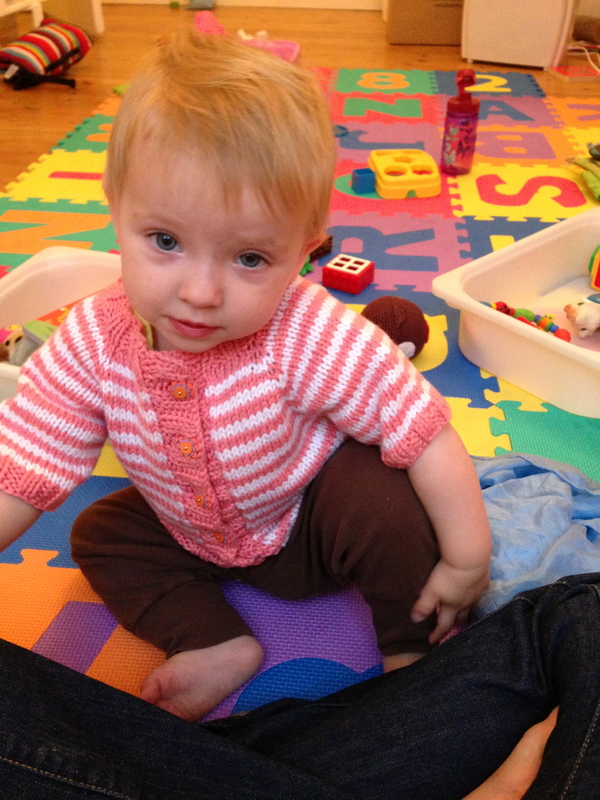 Meanwhile, I wanted to show you a sweater I’ve been waiting for Little Miss Feisty to grow into for more than a year. Friend and former student Consuela knit it for her our of (what else?) Spud & Chloë Sweater and mailed it to us here in Oxford. I was blown away when it arrived – I always am when someone knits a gift, let alone mails it internationally, but look how cute this one is, and check out the buttons. The pattern is the Little Coffee Bean Cardigan by Elizabeth Smith of The Brown Stitch, and I am thrilled that this sweater finally fits LMF. Too early for photos, mommy. But not too early for cameras. Give me the camera! I finally had to pull in reinforcements; friend Heather took these shots of LMF and me outside a coffeeshop in our new neighborhood. 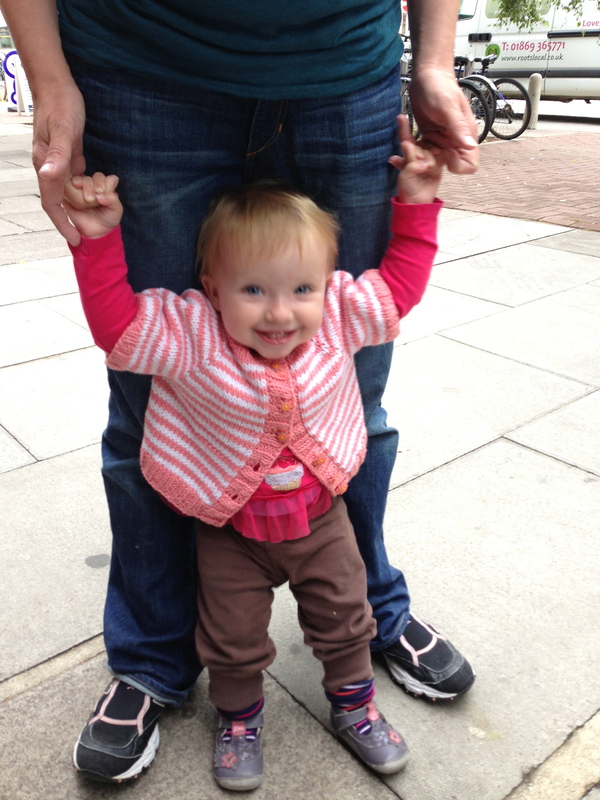 I’m walking! On the street! I still would like to have the camera. 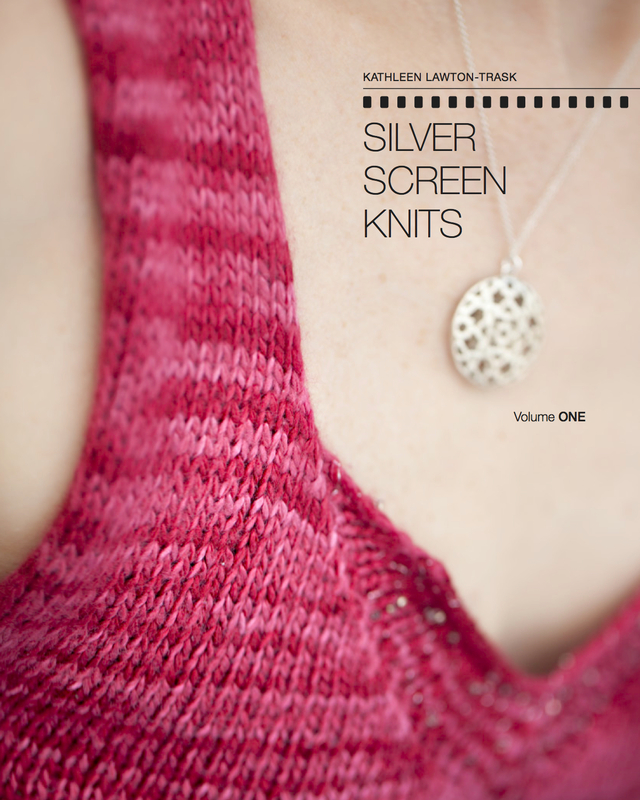 The winner of the Silver Screen Knits updates list giveaway was Claudia! There will be another giveaway for subscribers next week, but I won’t be posting about it on the blog, so do subscribe if you have any interest at all in a book about knitting and the movies (or, I suppose, in free yarn). I’ll be doing giveaways here as well, of course, but must admit I have saved some of the lusher yarns for subscribers. Meanwhile! 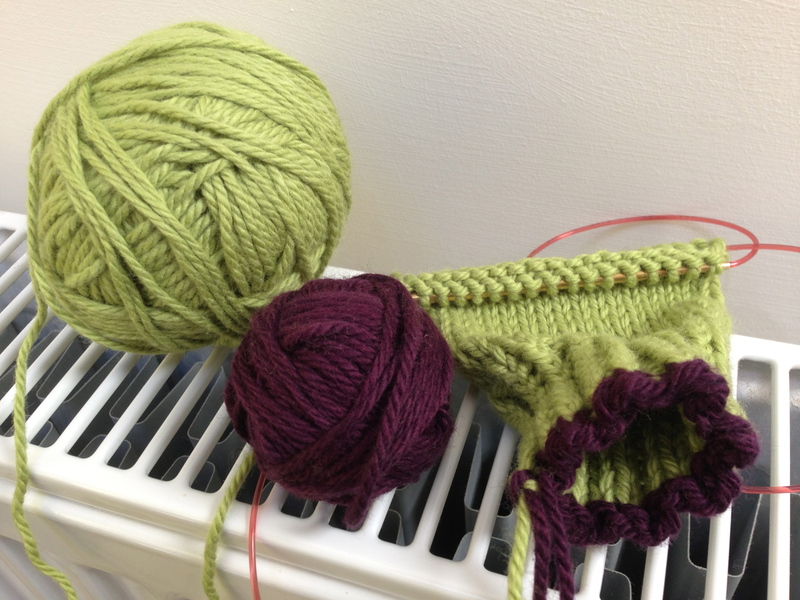 In her latest post, Catherine rightly warns us to pay attention to the modified pattern that Stephanie put out last week – the sleeve increases are different – so you’ll want to check your Ravelry inbox, which should have an update link. Post on the Ravelry thread, the Facebook page, or in the comments below about how your sweater is coming along. Are you still on the sleeves, like me? 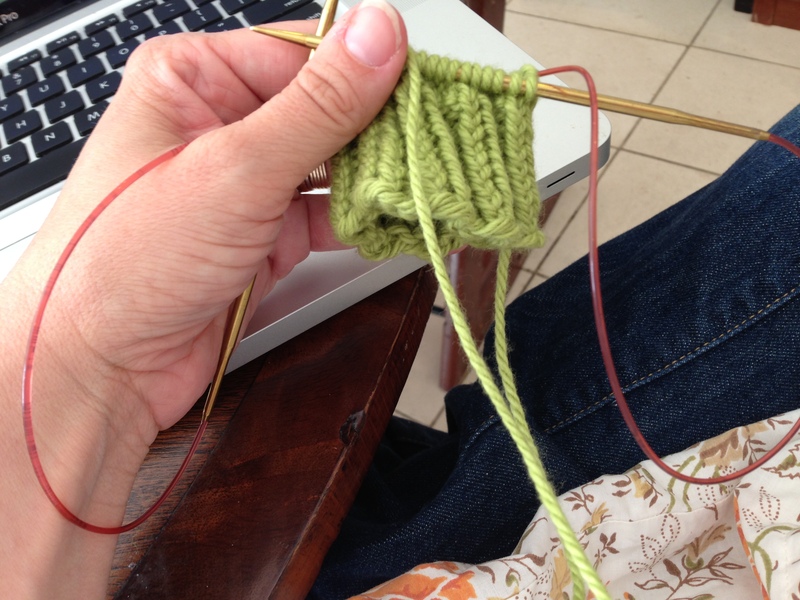 Or, like Catherine, are you almost ready to knit the body of the sweater? Wow, she looks gorgeous in that sweater! 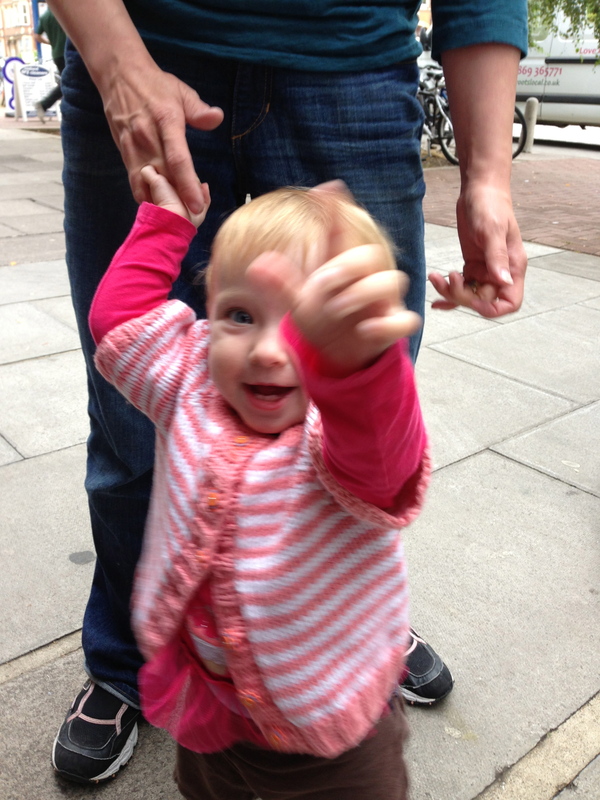 I consider the buttons to be very California…pink and orange, so she is bringing a little bit of California to Oxford! 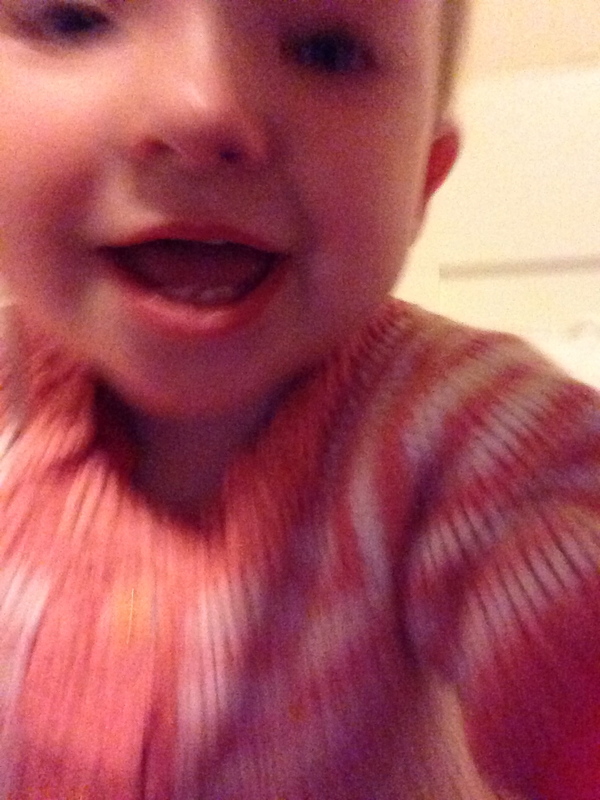 To channel Jane Lawton a little bit, I have to say – cute cute cute! Both LMF and the sweater. I just wanted to say congratulations about the book! That’s so exciting and I’m looking forward to seeing it. And I noticed on Rav that you’re crawling in London next week too? I’m on a different route but still looking forward to the stash entrancement opportunities, even if I should probably be a bit restrained!